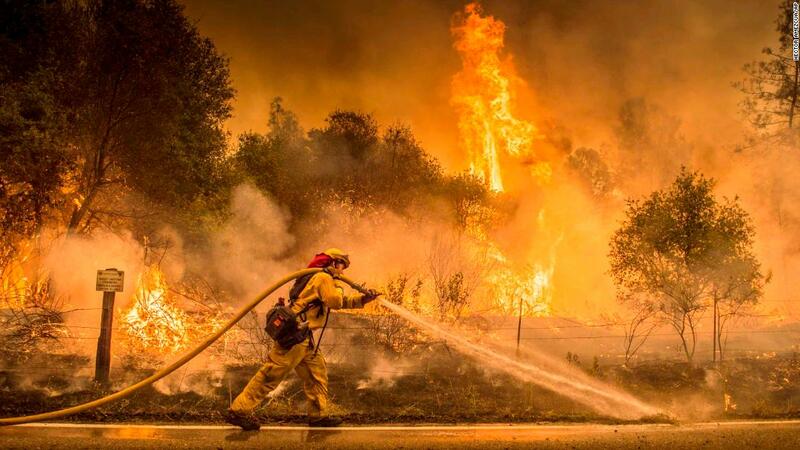 A wildfire in Northern California grows bigger and causes more misery by the day. The Carr Fire in Shasta County has killed six people, left at least seven people missing, destroyed almost 900 structures and torched almost 100,000 acres. The fire pretty much doubled in size over the weekend and is only 17% contained. Going forward, the forecast won’t be helpful in fighting the flames: high temperatures, low humidity and increased winds — the perfect recipe for more explosive fire behavior. 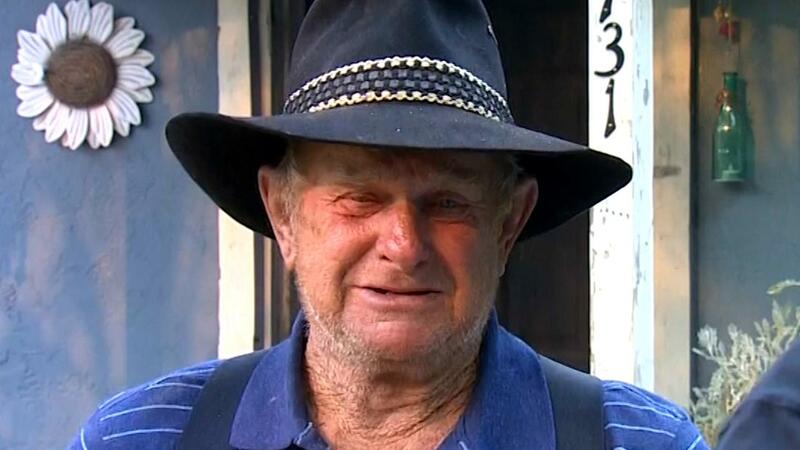 The fire is leaving in its wake countless heartbreaking stories, but none as devastating as the one told by Ed Bledsoe, who had only a few precious minutes on the phone with his wife and two great-grandchildren before they died as the fire burned his home. And the fire misery isn’t just contained to Shasta County. In addition to the Carr Fire, more than a dozen other large wildfires are burning throughout California, stretching resources. The polls are open in Zimbabwe for an election that will be the first without strongman Robert Mugabe on the ballot. The former president was pushed out by the military last year after almost four decades of rule. So this gives Zimbabweans a chance to participate in something the country’s never had before: a free and fair election. 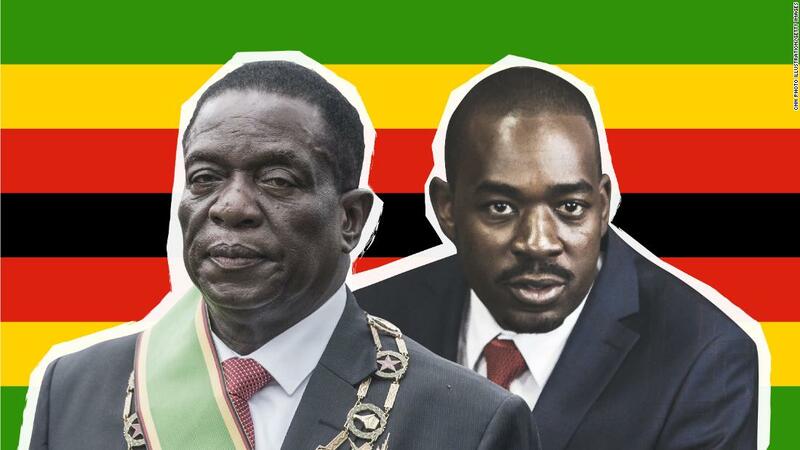 The current interim president, Emmerson Mnangagwa, is on the ballot, along with more than 20 other candidates. In addition to the presidental race, voters will decide seats in parliament as well. President Trump revived his threat to shut down the federal government over the immigration battle. Trump wants funding for his border wall and big changes to the nation’s immigration laws. Congress passed a spending bill in March that funds the government through September; the President has said he won’t sign a new spending bill unless his demands are met. 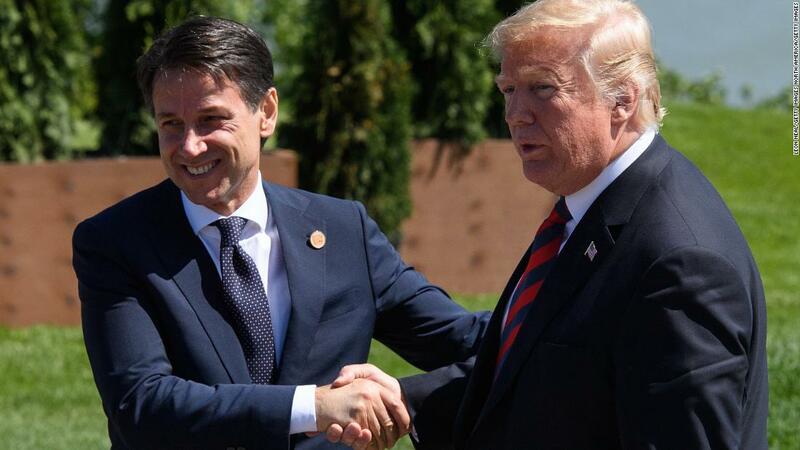 Later today, the President welcomes Italian Prime Minister Giuseppe Conte to the White House. In Conte, Trump will see a lot of himself: a neophyte politician who rose to power on a populist, anti-immigration platform. The two are set to hold a joint presser after their meetings. Remember the words to that old song from the 80s — “I always feel like somebody’s watching me?” Guess you can hum that little melody the next time you catch a flight. Details came out over the weekend about a government program where federal air marshals keep track of unsuspecting American citizens in the air. The Transportation Security Administration program, called Quiet Skies, keeps taps on Americans not suspected of a crime, not under investigation or who are not on any terrorist watch list. In the program, which has been around since 2010, info gleaned from the intel community and previous travel patterns are used to pick which fliers to watch. Air marshals look at things like excessive fidgeting, excessive perspiration, rubbing or wringing of hands, rapid eye blinking or even sleeping during a flight. 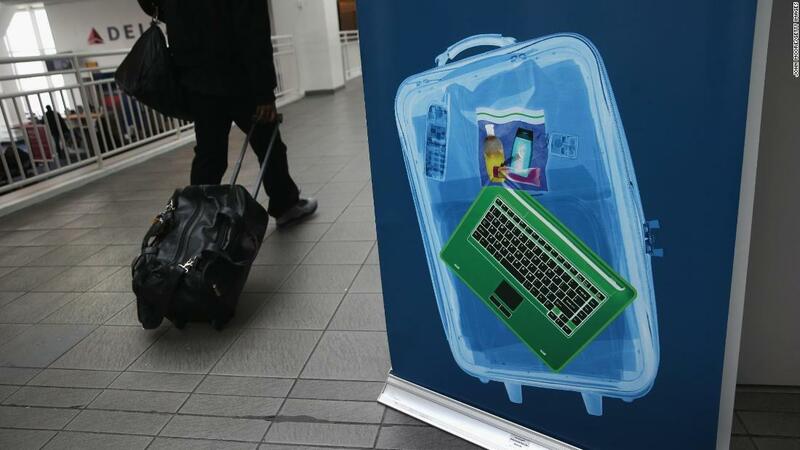 The TSA says the program is not targeting ordinary Americans or monitoring individuals based on race or nationality. 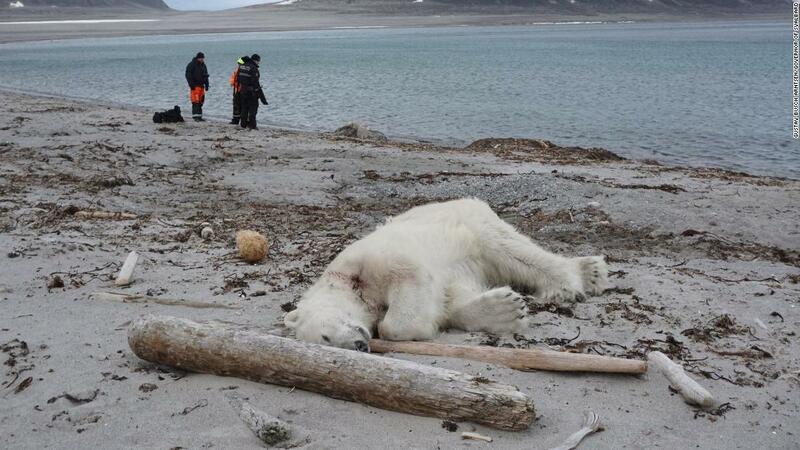 A German cruise line is under fire after one of its employees shot and killed a polar bear in Norway. A ship from Hapag-Lloyd Cruises had docked on Spitsbergen, an island in Norway, this weekend when a polar bear attacked a guard. The guard had been hired to go on shore before passengers disembarked to make sure the area was safe. Another guard shot the polar bear to stop the attack. The cruise line apologized, but that did nothing to stop the torrent of criticism, including from biologist Adam Hart, who tweeted, “Tourism… again proving itself to be harmful to wildlife.” Polar bears are listed as a vulnerable species, according to the World Wildlife Fund. Need proof the Obamas are living their best lives after leaving the White House? 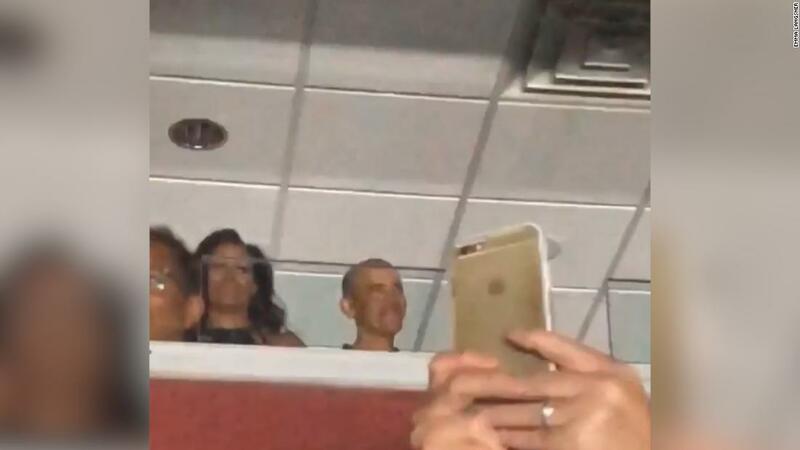 Check out their dance moves at a Beyonce/Jay-Z concert. 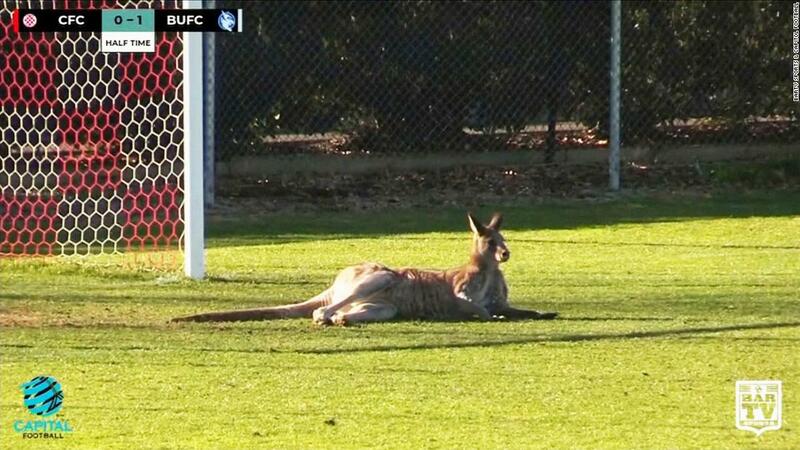 Kangaroos are synonymous with Australia, but they’ve mobbed back yards, roads and even sports fields in parts of the country because of food shortages. 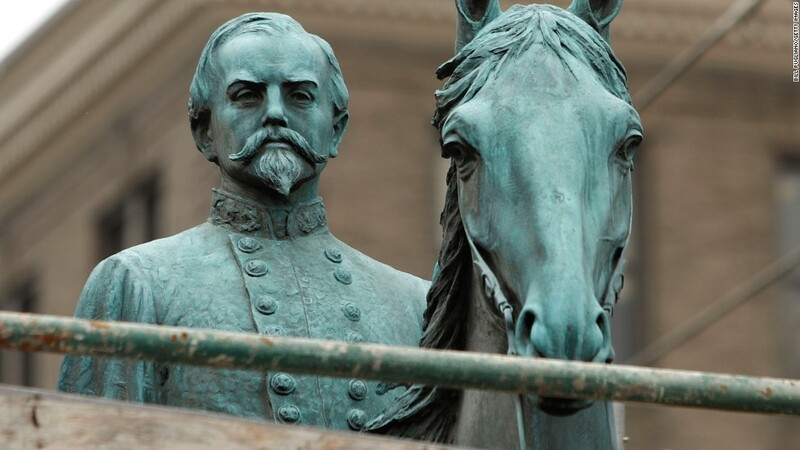 We’ve heard of cities renaming streets and schools because of ties to the Confederacy. But renaming an entire city? It’s being discussed in Austin, Texas. Should the US ban Confederate monuments? 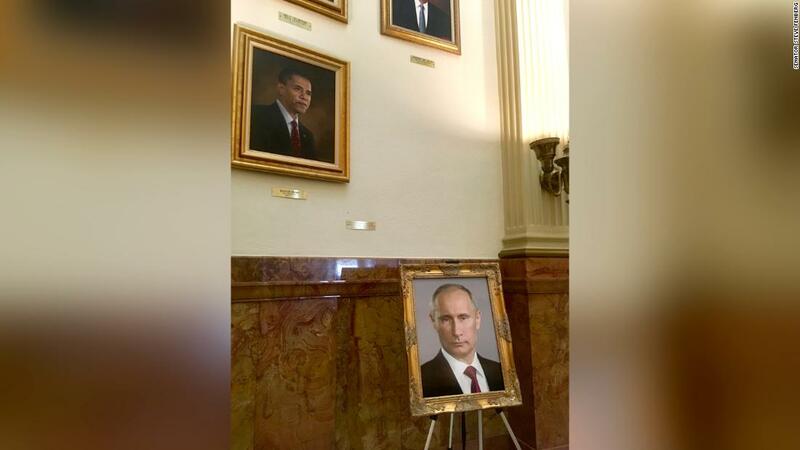 Somebody switched out Donald Trump’s portrait for Vladimir Putin’s in the gallery of US presidents at the Colorado state Capitol building. Yes, the teen was wrong for breaking into a California couple’s home. But at least he woke them up to ask for their Wi-Fi password. 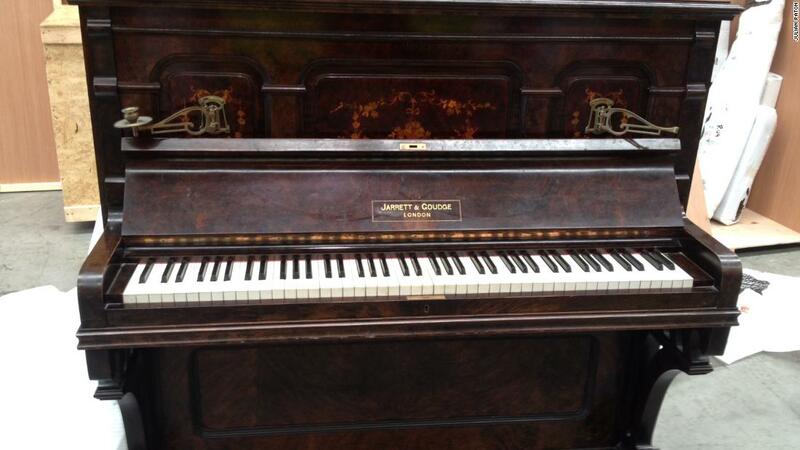 There’s no harmony in New Zealand after the government ordered the ivory key tops of a 123-year-old piano to be removed and dumped. 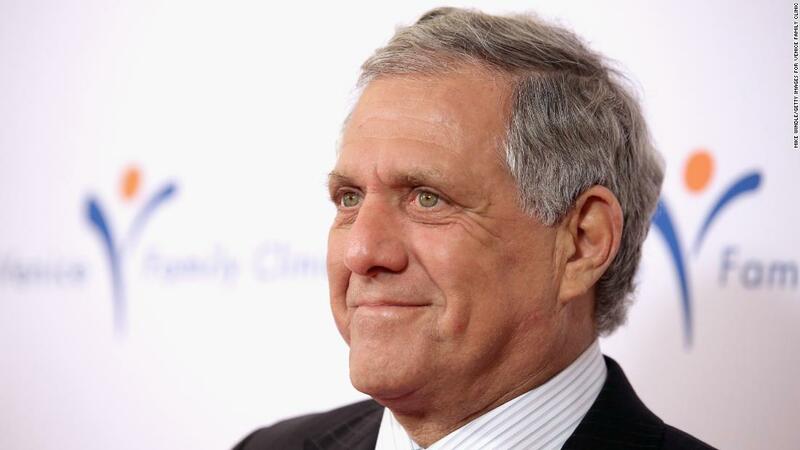 The board of directors at CBS meets today to form a special committee to look into sexual harassment allegations against CEO Les Moonves. 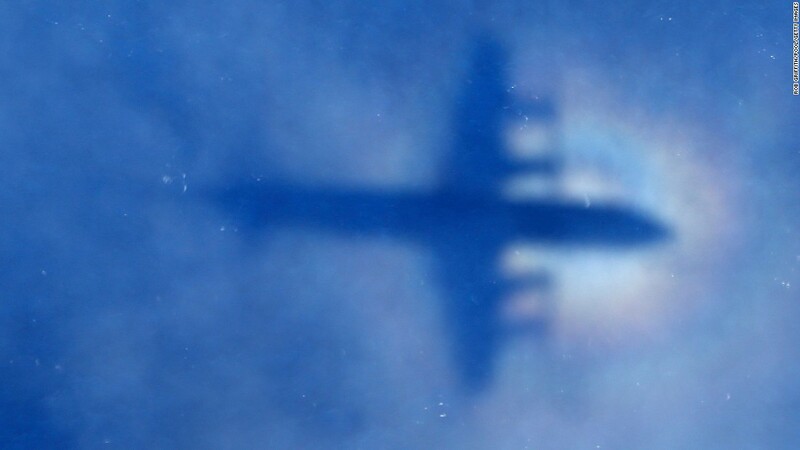 A new report out this morning on Malaysia Airlines Flight 370 says Malaysia is “unable to determine the real cause” for the plane’s disappearance.